Perhaps it's because I'm Irish but I LOVE St. Patrick's Day! I love how the holiday seems to come at a time when we desperately need some fun in the classroom amidst assessments and obtaining data for report cards. 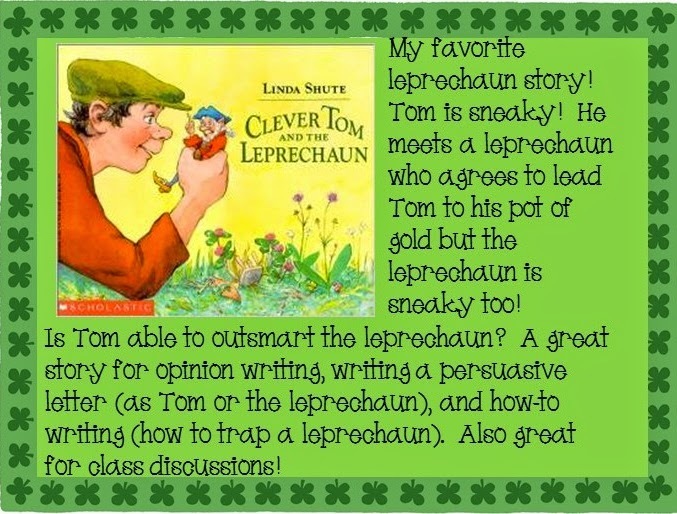 I kick off the day each year with a great read aloud: Clever Tom and the Leprechaun by Linda Shute. The kiddos love having a engineering/craft project for homework. It cracks me up how they think I am rewarding them when I send this letter home. We talk about building the traps in class before the note goes home and I show them some examples from Pinterest so they have some ideas. 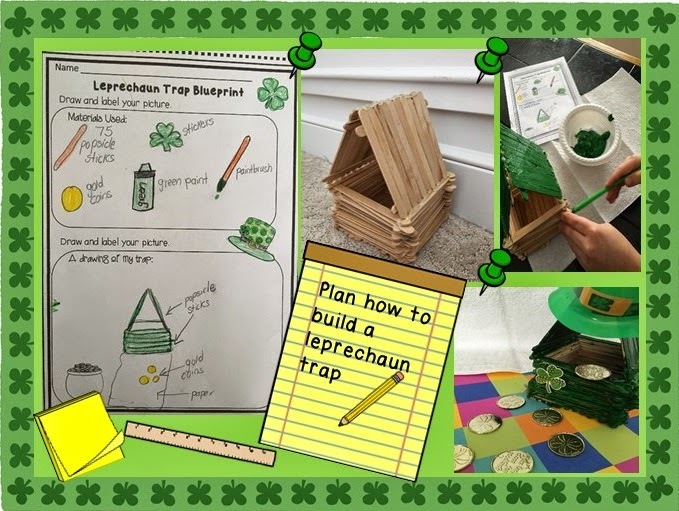 Using a "blueprint" helps students with important pre-planning skills. Students draw and label the materials used to create their trap, as well as a final drawing/map of the trap. 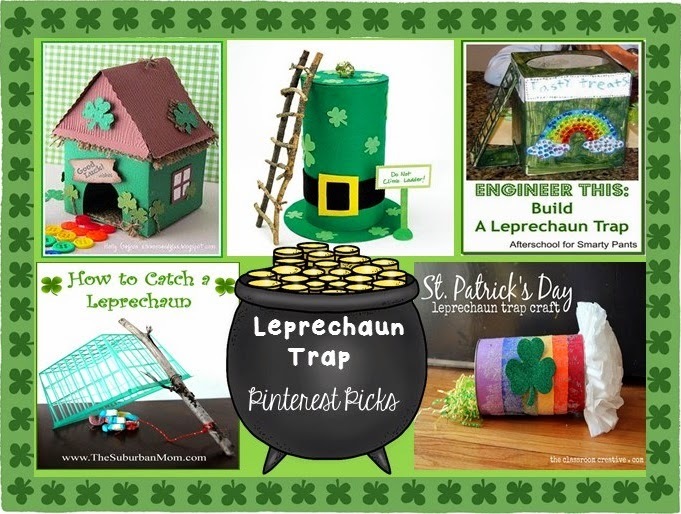 When they complete their traps and return them to school with their blueprints, we share our creations. I love seeing the creativity! Students also write an informative writing piece on how their trap works. When I tell you it is a riot....it is just precious! 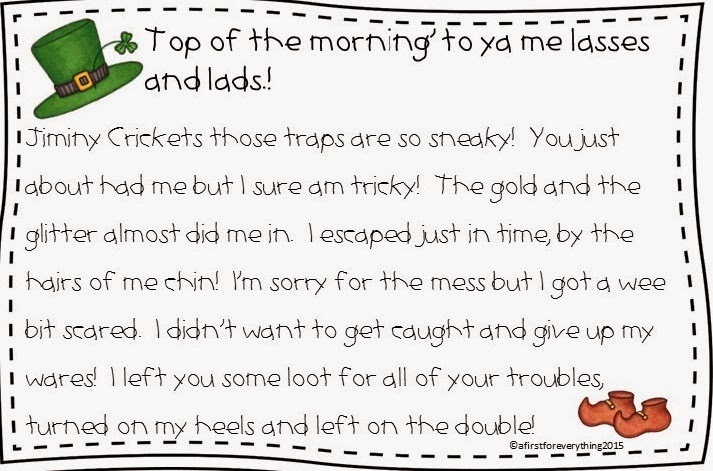 Another fun writing activity that we enjoy is to imagine that a leprechaun got loose in our school. Some of the responses are a riot! At this point of the year you can really see the progress in their writing and it begins to have a "voice" so these gems get hung out in the hall! 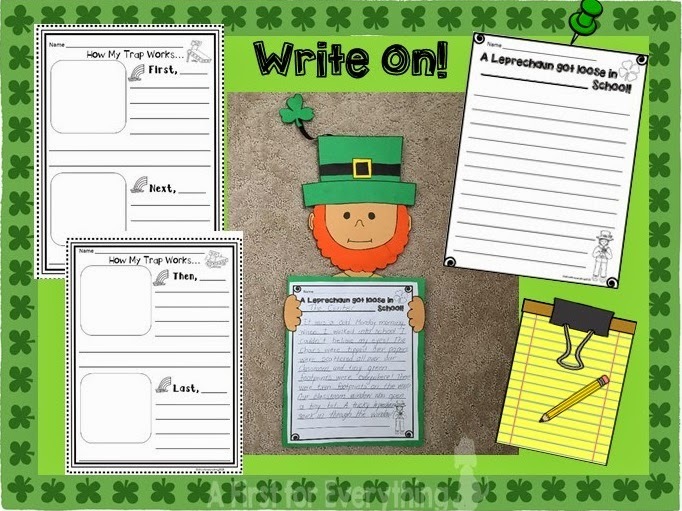 You can get this writing craftivity and project here. 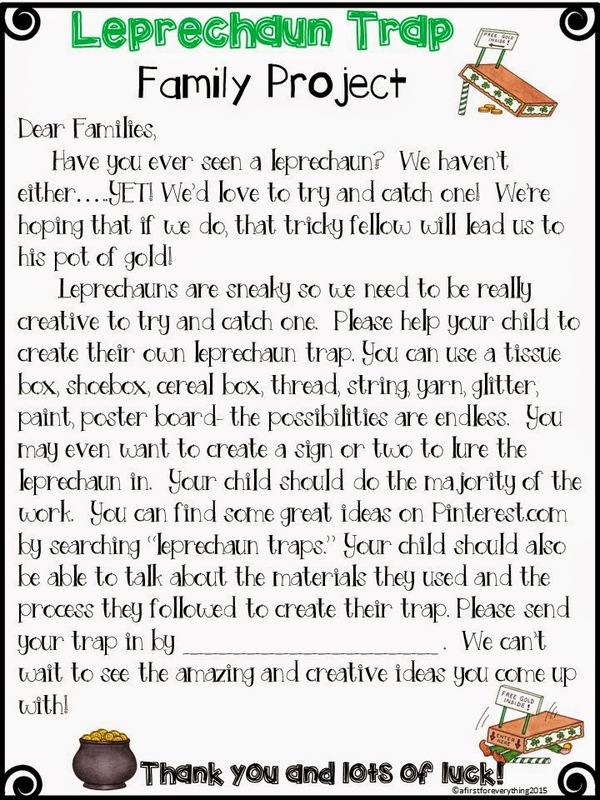 Of course, the leprechaun has to come and create some mischief, right? 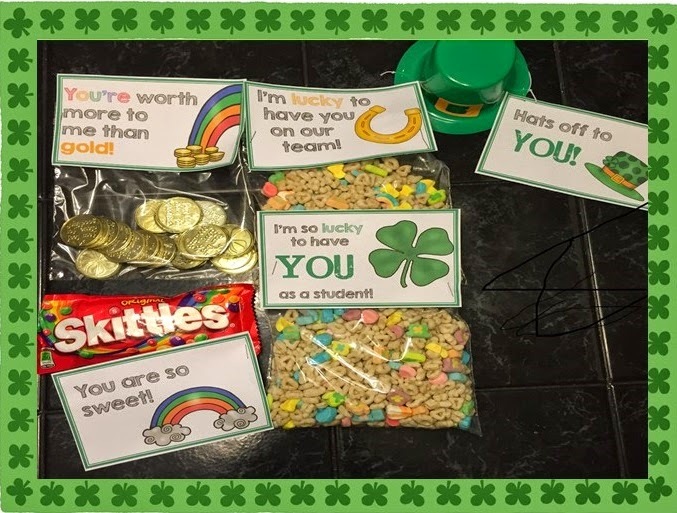 The little rascal tips over our chairs, leaves little shamrocks and gold coins all over (Dollar Tree), and even leaves tiny green footprints all around our classroom. Right next to the window, open a crack, we find this letter. We also find some treats on our desks! These treat bag toppers are FREE. Just click the pic to grab 'em! Need some money for the TPT sale?